Washington And Lincoln galaxy s8 case by War Is Hell Store. Protect your Galaxy S8 with an impact-resistant, slim-profile, hard-shell case. The image is printed directly onto the case and wrapped around the edges for a beautiful presentation. Simply snap the case onto your Galaxy S8 for instant protection and direct access to all of the phone's features! 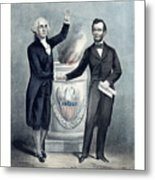 There are no comments for Washington And Lincoln. Click here to post the first comment. 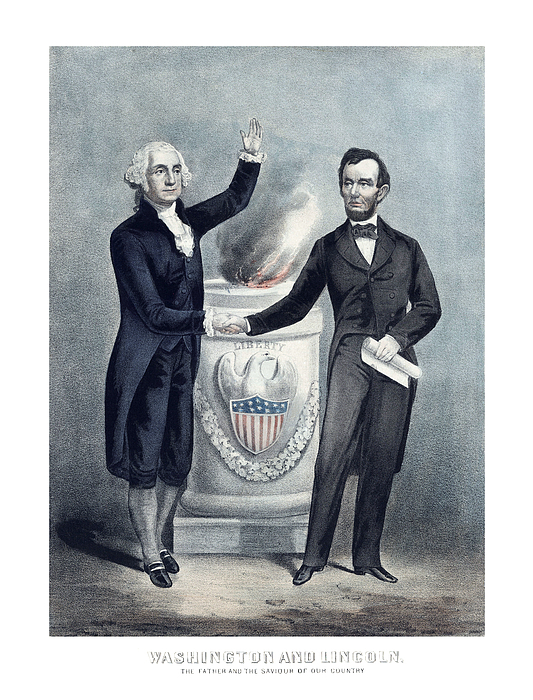 This vintage American History print features President George Washington and President Abraham Lincoln shaking hands. 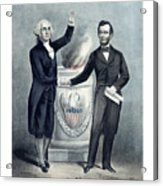 It reads, "Washington And Lincoln -- The Father And The Saviour Of Our Country". 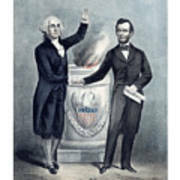 Celebrate American History with this digitally restored print from the War Is Hell Store.